We do not have a fine print policy designed to keep your money, our aim it to provide you with a great product, If you are not satisfied with your Wrench Racer online purchase you may return the goods within 90 days of the original purchase date. Products must be returned unused and if possible in its original packaging. Return postage from you to Wrench Racer will not be met by us. Attend your local Post Office and send your Wrench Racer product to the address below. For security and peace of mind, we strongly suggest insured registered post as Wrench Racer is not liable for lost return parcels. We will cover postage for your replacement item if the original is faulty. 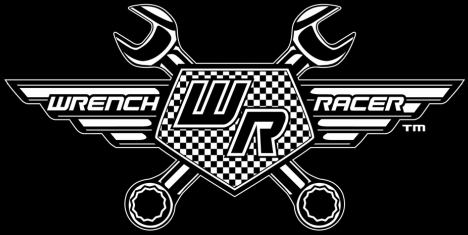 info@wrenchracer.com prior to returning your product so we can log the problem and sort out a resolution ASAP. All information including email addresses for correspondence and gathered for shipping of products will be kept private and will not ever be given to a third party. If we want to put you on our mailing list for offers and information we will ask you first and you can always be removed at your request. Our Payment system is handled by PayPal which has a trusted and leading banking security system to keep you information safe. Our ordering and stock system is managed by Shop Intergrartor and has leading protection provided by McAfee Secure. Now this is tricky! This primarily is determined by the postal company in your country and Australia. We start with Australia Post who then uses postage services in your home county. We can give you estimates on experience only and recommendations from the postal companies. Below are some sample time frames. One of the biggest problems is just the lack of information on customers mailing addresses so if you are unsure then too much info is better than too little. Most countries fall into the above group of 5 to 14 days. We have had a delivery take 23 days?? cant explain that, just telling you how it is sometimes. 5 to 14 working days. This has taken up to 30 days! but it should be 10 and 14 working days. 23 days is the current record in a bad way! Our delivery record has been broken. It took 30 days for one of our products to reach its destination in south Africa! (nov 2013). A record we are not proud of but out of our control unfortunately. Often a GST, VAT or Duty is applicable depending on your country and often when a price threshold is crossed, also some postal agencies place additional charges on top for the act of collection. All of these charges are the responsibility of the buyer.